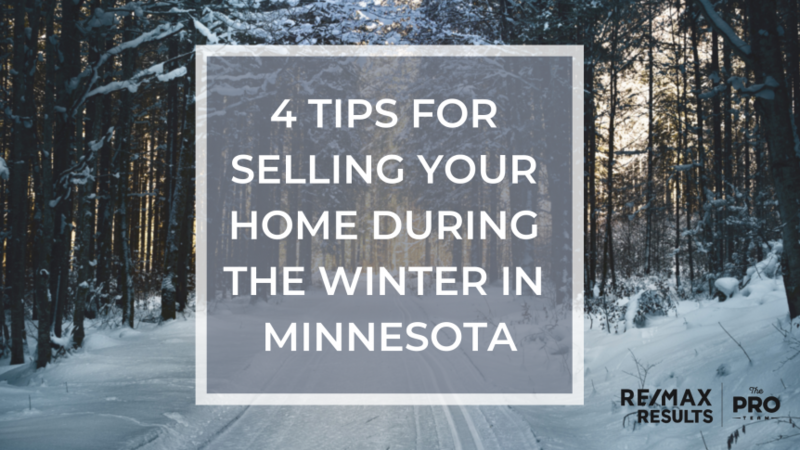 Despite popular opinion, selling your home in the Minnesota winter months can be just as fruitful as selling in the spring, and even more so. Home buyers are more motivated at this time of year and are not out trudging in the cold for fun of it. Less competition from other buyers can also make it easier for your home to stand out. That said, it does pay to know some tips for selling your home in the winter so you can make your home as attractive as possible for serious buyers. Keep reading to learn how to sell your home in the winter in Minnesota. Shorter daylight hours and less sunlight overall in winter mean your house may not be seen at its best by viewers. The way to rectify this is to add brighter bulbs to existing light fittings and introduce freestanding lamps to brighten dark corners. Open up your blinds and shutters to make your windows look more prominent and let what daylight there is in. If you’re selling your home in the winter months, then there’s a good chance snow will be covering the lawn. Help potential buyers envision what your house looks like in summer by including some external photos in the online marketing, or set up a digital photo viewer with a slideshow so they can see how it looks in the warmer months. If you have any particular outdoor features, such as a great deck or a vegetable garden, this is a great way to showcase them. No one will linger for long if your home doesn’t have adequate heating! Now’s the time to show that your home has a boiler and furnace that can handle a Minnesota winter. If you’ve recently had them serviced, make sure you have this information to hand or an inspection sticker in plain sight. You can be sure that a good heating system will be top of mind for buyers in winter and they’ll want a feel for how the home holds up. Do you have features like a fireplace or wood burning stove? Keep them lit for viewings, so warmth radiates through your home and creates a cozy atmosphere. Be sure to check for any cold drafts around doors or windows that might put people off. Decluttering your home of personal items to get it ready for sale is a good idea in any season. It’s also essential that you make sure that any outdoor items, such as patio furniture or sports gear have been cleared away and stored. A depersonalized canvas makes it easier for potential buyers to envision their belongings in the house and less clutter makes it easier to keep your home clean between viewings. We hope you’ve found this advice on how to sell your home in the winter helpful. Remember by selling your home in the winter months in Minnesota you’re showing buyers precisely what to expect. They don’t have to ask questions like “is the heating ok?” or “does it get afternoon sun in winter?” as they can see for themselves. For serious buyers, this gives a lot more peace of mind than buying in spring or summer.